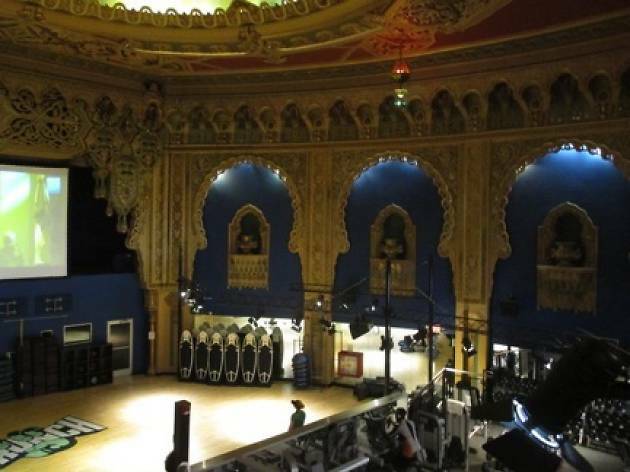 Possibly the coolest Crunch in existence, this gym is housed in an old, ornate movie theater and plays films on a large projector screen against the main wall. Crunch is a well-known national chain with six locations in San Francisco. 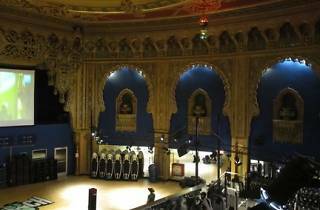 Our favorite is the one on Polk Street: the gym is housed in an old, incredibly ornate movie theater, and movies are constantly playing on a large projector screen that can be seen from most machines and stations. The cardio equipment is on the mezzanine level, and on the ground floor (where you’d normally find orchestra seating) are strength-training tools and an open-air group fitness area. The vibe is casual and it definitely feels like a gym person’s gym. If you like to do your own thing, Crunch is an ideal place. There are plenty of classes too, if you prefer a group setting, from mat pilates and cycling to yoga and singular focuses sessions (“washboard abs”) as well as weight and cardio training. It’ll cost you $160 per month to join one location, or $178 for a membership that allows you to visit all the Crunch gyms in SF.